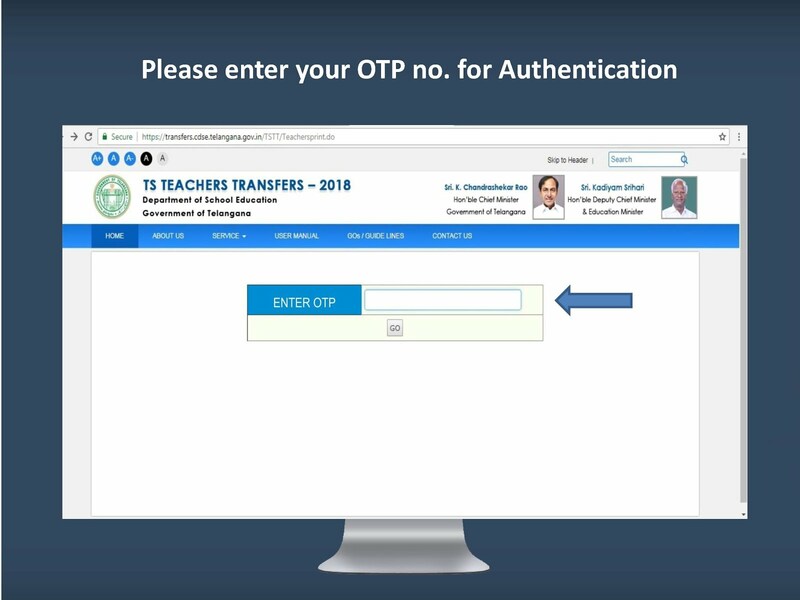 Web Options DEMO Video, PowerPoint Presentation on TS Teachers Transfers 2018: TS Teachers Transfers 2018 Web Options, TS Teachers Transfers 2018 PowerPoint Presentation. 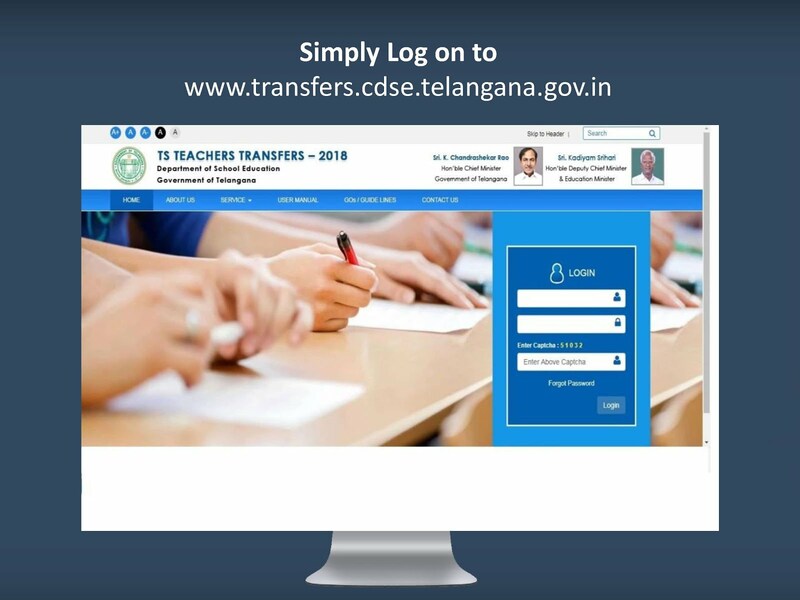 CDSE introduces Web Options an Hassle Free, Easy and Efficient way to choose your Preference for transfer. 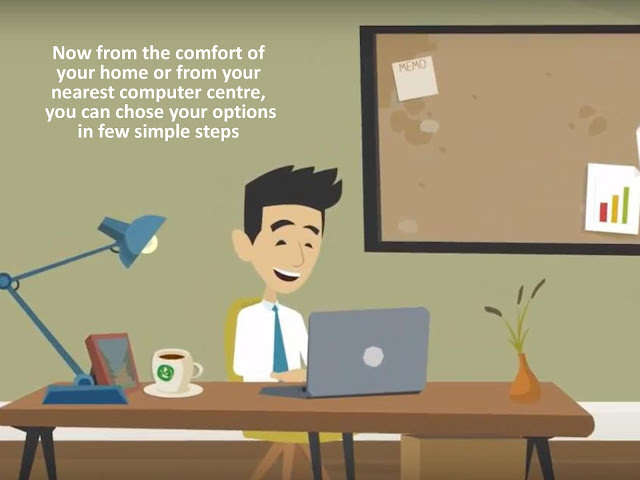 Now from the comfort of your home or from your nearest computer centre, you can chose your options in few simple steps. 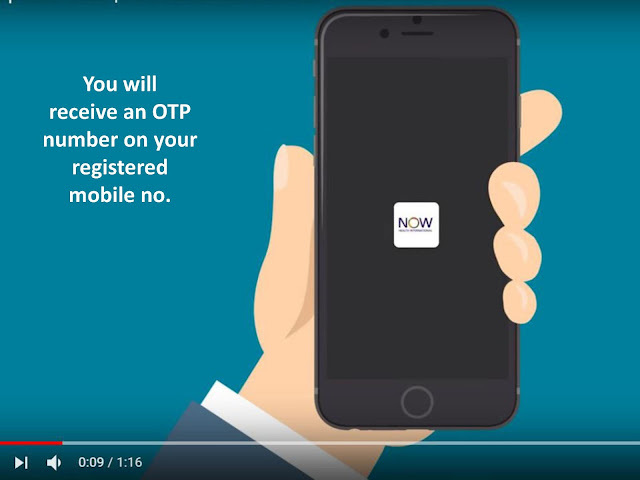 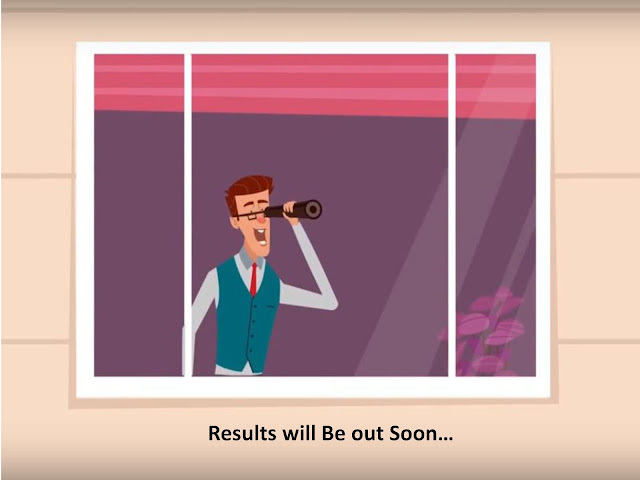 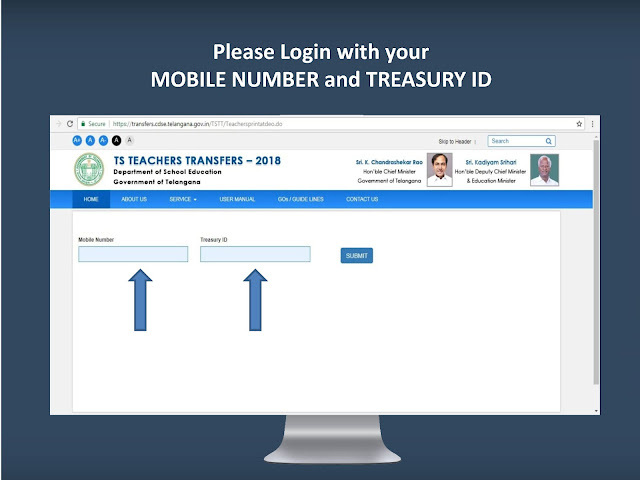 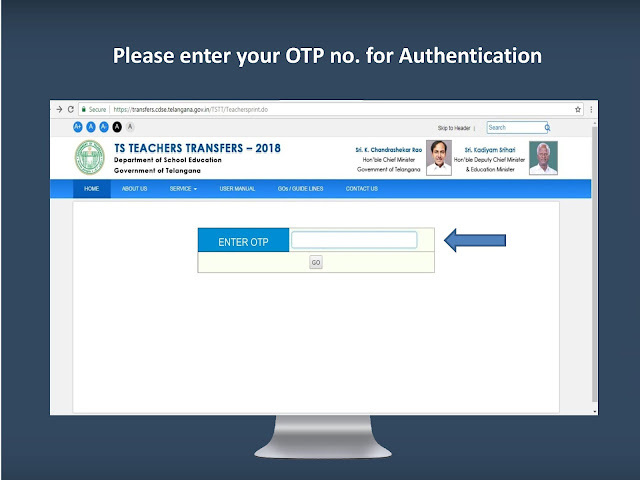 Web Options DEMO video to be available on TS Teachers Transfers 2018 website. 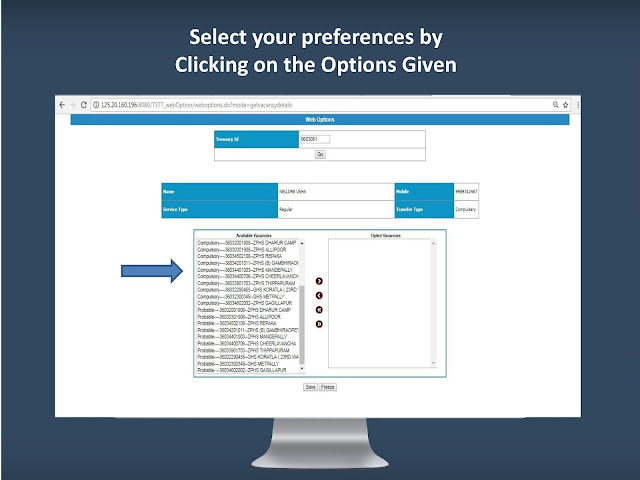 Step 4: You can also view the DEMO of WEB OPTIONS. Step 11: Select your preferences by Clicking on the Options Given. 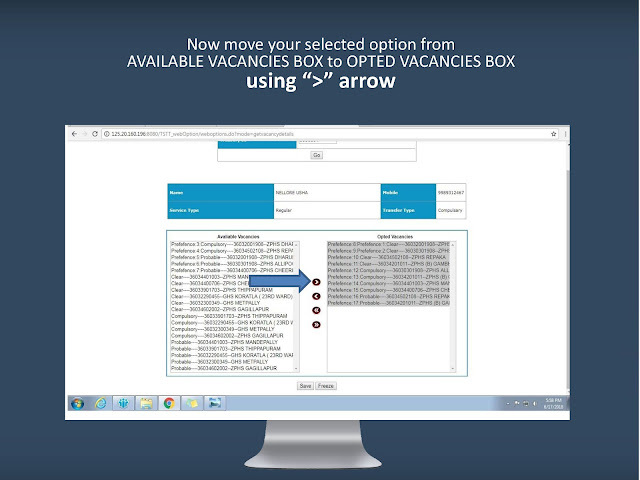 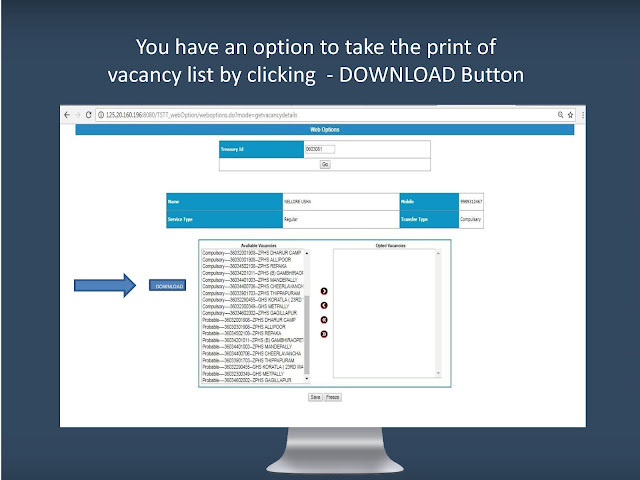 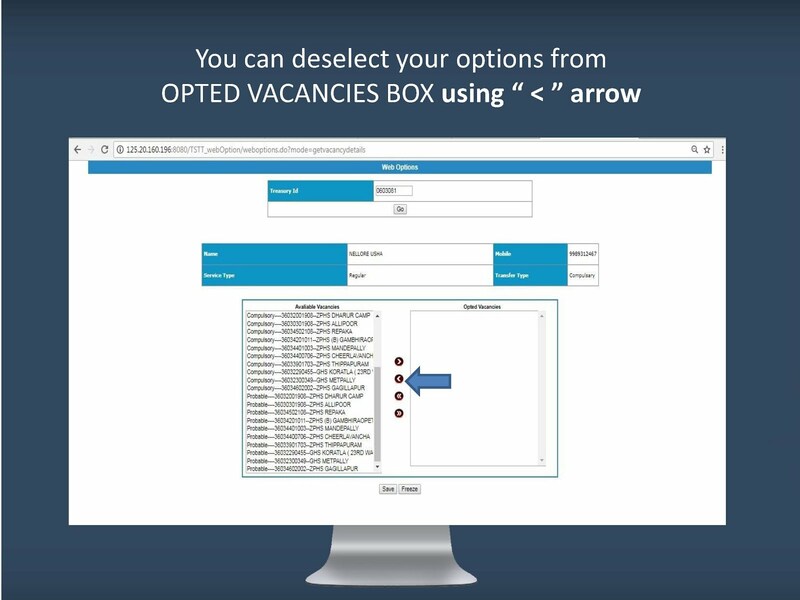 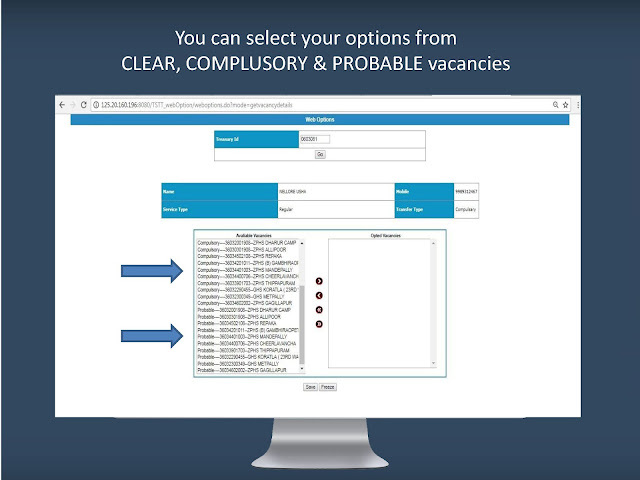 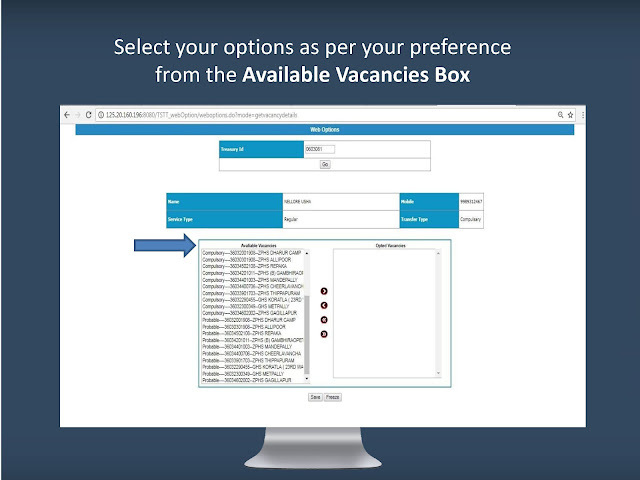 Step 12: Now move your selected option from AVAILABLE VACANCIES BOX to OPTED VACANCIES BOX using “>” arrow. 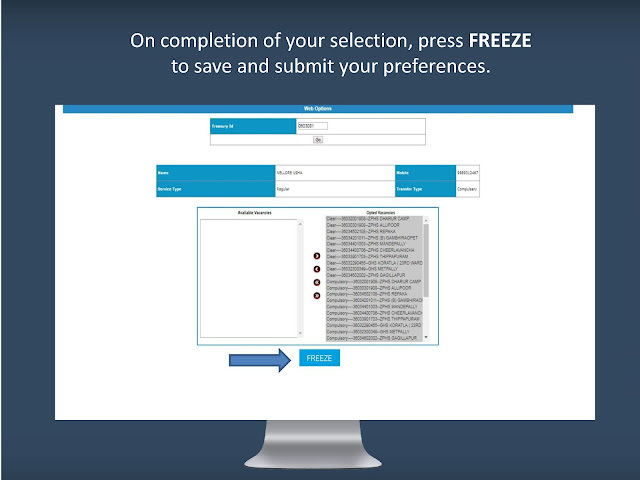 Step 14: On completion of your selection, press FREEZE to save and submit your preferences.